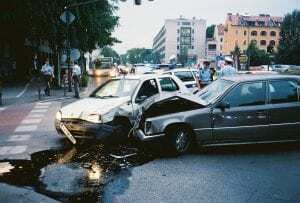 Brighton, NY (April 13, 2019) – Police were called to the scene of a car accident that occurred on Thursday afternoon at the intersection of Clover Street and Elmwood Avenue. One of the vehicles involved was a blue sedan that had the front end completely smashed inward. Police did not say whether or not those who were injured are currently recovering or how they are doing. One person was severely injured and taken to the hospital in an ambulance. Earlier in the day, Brighton Police responded to a serious accident that led to serious injuries in a person nearby on Route 441. Police are still investigating the circumstances of the accident. Above all else, our kindest and genuine concerns are extended to those injured in this accident with hopes of a full recovery. If you have been injured in a car accident in New York, it can be terribly difficult to focus on your recovery and we want to help you through this desperate time. Your health should be the top priority, but it is essential to know that you have many rights as a victim under New York law. At Hach & Rose, our compassionate attorneys in New York have committed themselves to help the victims of reckless drivers. If you believe that another party has caused your accident, we would like to support you through this time and help you gain compensation for aspects like lost wages, medical bills, and more. We are here for you in your time of need, so please contact us at 212-779-0057.